With iPods selling by the skipload and the rest of the world trying their level best to make its successor (Zune, Zen, anyone? ), a new market for high-end earphones over £100 has sprung up. This year in particular has seen companies that are better known for their quality stereo systems trying to get in on the market. Denon and Bose are two such contenders. Denon has just released seven new earphone models, with this AH-C700 pair reviewed here at the top of the pile. They sound quite fantastic and, in the opinion of our ears at least, give models several times more expensive reason to look again at those lofty price tags. 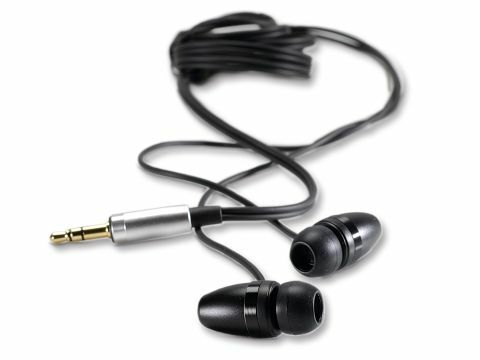 The AH-C700 earphones are lightweight, bullet-shaped and really comfortable to wear. They can be listened to at a very high volume without distortion; you would have to be deaf before you hear the bass loosen. And, mercifully, you don't have to pin and twist them deep into your canal to get a good fit, like you do with those formidable, but unsightly and hard-to-wear Shure models. You get three sizes of earplug in the box but, unfortunately, Denon hasn't included a travel pouch. This is a schoolboy error, as everyone who uses these bud-like earphones knows they pick up grime and dust very easily, and it's just plain wrong to put that dirt in your ear. They are not best suited for jogging because the fit isn't rock solid, but work perfectly for walking about or travelling with. At the end of the day, it's the sound quality that won us over. Its balance is clear and can handle a wide range of sound. A good effort from a newcomer to this arena.